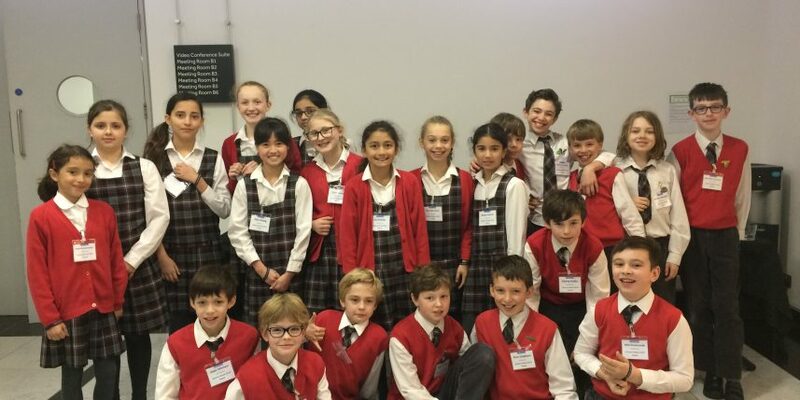 Last Friday year 5 attended a talk by the Society of Underwater Technology in the City. This society brings together organisations and individuals with a common interest in underwater technology, ocean science and offshore engineering. The students were lucky enough to hear from Stephen Hall, the Chief Executive, who spoke about the consequences of plastic consumption, the pros and cons of fish farming and the effects of melting ice caps. Next, Sue John, the Chair of SUT, showed the students a ROV, or remotely operated vehicle. These ‘robots’ can map and detect submerged wrecks, rocks and obstructions. After an incredibly interesting morning, several students decided marine biology was definitely something they wanted to study at university!